On today's episode of Delta Dispatches with Simone and Jacques are joined by two participants in the second-annual 10X Water Summit. 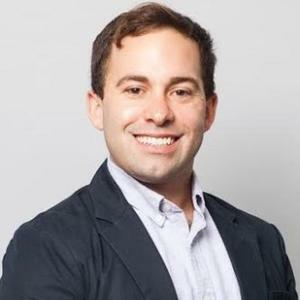 First, they sit down with David Festa, senior vice president, ecosystems at the Environmental Defense Fund to talk about issues of water management from Louisiana to California. Later, they're also joined by Justin Ehrenwerth, president and CEO of The Water Institute of the Gulf to talk about his work and this year's 10X Summit in Phoenix. Welcome to Delta Dispatches with hosts, Jacques Hebert and Simone Maloz. On today's episode, Dr. Kristine Strickland, Chancellor of Fletcher Technical Community College joins the show today to talk about workforce development, coastal literacy, and much more! Dr. Strickland was awarded Educator of the Year by Lafourche Chamber of Commerce at its 2017 Annual Awards Banquet. She's followed by Martin Mantz, Coastal Restoration Program Manager at Nunez Community College who discusses ongoing and upcoming coastal restoration projects. Welcome to Delta Dispatches with hosts, Simone Maloz and Jacques Hebert! 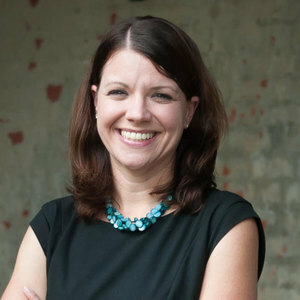 On today’s show Kara Lankford, Director of Gulf Coast Restoration at National Audubon Society, stops by to about Audubon's latest Comprehensive Gulf Restoration Plan. The report highlights projects and programs critical to helping the region. Later on the show, Erik Johnson, Director of Bird Conservation for Audubon, Louisiana, joins the show to talk about the elusive Black Rail and why coastal restoration is so important for shorebirds. Welcome to Delta Dispatches with hosts, Jacques Hebert & Simone Maloz. They're joined by Lucas Bissett, Fly Fishing Charter Captain of Low Tide Charters, who talks about his role with Low Tide, getting a first-hand view of Louisiana's coastal land loss crisis, and his documentary. Later in the show, they're joined by Ryan Chauvin, Digital Marketing and Communications Manager for Restore The Mississippi River Delta Coalition and National Audubon Society to talk about a new ad that will air during this weekend's big game! 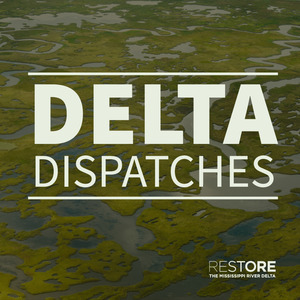 On this episode of Delta Dispatches, Simone and Jacques welcome Mark Davis and Christopher J Dalbom, JD from the Tulane Institute on Water Resources Law & Policy. They talk about presenting at January’s CPRA board meeting, some of the biggest legal issues facing Louisiana’s coast, and their upcoming seminar on coastal law and more! Later in the show, they’re joined by the campaign director of Restore the Mississippi River Delta, Steve to talk about CPRA’s announcement regarding the permit for the Mid Breton Diversion on the east bank of the river. Welcome to Delta Dispatches with hosts, Jacques Hebert & Simone Maloz. Today's first guest is is Bren Haase, executive director of Coastal Progress & Lost Lake at the Louisiana Coastal Protection and Restoration Authority (CPRA). To kickoff the show, Bren looks back at the CPRA's successes in 2018 such as Whiskey Island, Lost Lake, and Center for River Studies. Next, we look ahead to what's next for coastal restoration in 2019. To end the show, Simone and Jacques bring on Kenny Bahlinger, a project manager with CPRA. After talking about Kenny’s role with CPRA, the hosts ask Kenny about the Lost Lake Project and more! Welcome to the final Delta Dispatches of 2018! Hosts Jacques Hebert & Simone Maloz catch up with all their friends to recap 2018 and look forward to a great New Year. Special thanks to all our guests: Chip Klein, Robert Twilley, Steve Cochran, Alisha Renfro, Alex Kolker, Arthur Johnson, Brad Barth, Lauren Averill, Clint Wilson, Derek Brockbank, Jimmy Frederick, and Rudy Simoneaux! Welcome to Delta Dispatches with hosts, Jacques Hebert & Simone Maloz. On today’s show Anne Hawes, Outreach & Engagement Director & Public Information Director of CPRA joins the show to talk about her background, CPRA’s work to protect & restore coastal Louisiana, how many projects that are currently in construction across the coast, and CPRA's new blog and tools! In the second half the show, Dr. John Lopez, Director, Coastal Sustainability Program of Pontchartrain Basin Foundation also stops by to talk with Jacques & Simone about the Ponchartrain Estuary Atlas, the Swamp Restoration Suitability, Oyster Habitat Suitability, the Lights on the Lake event on December 15th and more! Welcome to Delta Dispatches with hosts, Simone Maloz & Jacques Hebert. On today’s show Richard Condrey, former professor at LSU in the Department of Oceanography & Coastal Sciences stops by to talk with Jacques & Simone about his background, the value of Louisiana fisheries to the rest of the world, the Baton Rouge Audubon Society (BRAS) and his blog "The Great Barrier Reef of the Americas: Coastal Lessons from the Past." Natalie Snider, director of science policy at EDF also joins the show to talk with Simone & Jacques about The Great Barrier Reef of the Americas, the impact the loss of the GBRA had on our wetlands & marshes, the importance of oyster reefs for a sustainable coast, creating an artificial reef and much more!